Bill Savidan takes a look at the classically-styled Starcraft 20’ and finds low-cost high delivery from this experienced manufacturer. In 2010, with the economic downturn biting, 'Mr Jayco', Gerry Ryan, encouraged the Jayco designers to produce a more affordable range of caravans, one that offered value for money without sacrificing quality and comfort. 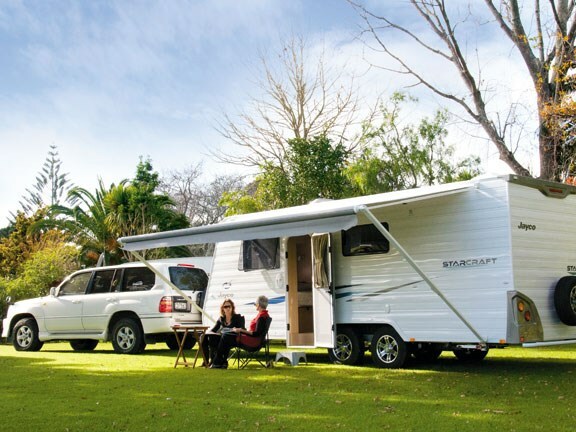 The resulting Starcraft range retains the retro look of earlier models, with its aluminium plank cladding and plain interior cabinetry, but the assembly quality, interior styling and comfort features match those found on the top-of-the-range Sterling models. 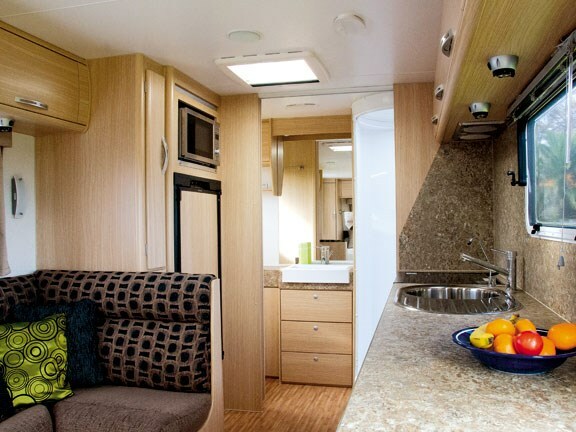 I reviewed a Starcraft 20.62-2.21SC 6.2m caravan supplied by Jayco agents, Coastal Motorhomes and Caravans Ltd of Whakatane to see how well the designers had interpreted Gerry's objectives. When spending your hard earned dollars on a 'big ticket' item, it is nice to have some background on the company that produces it. 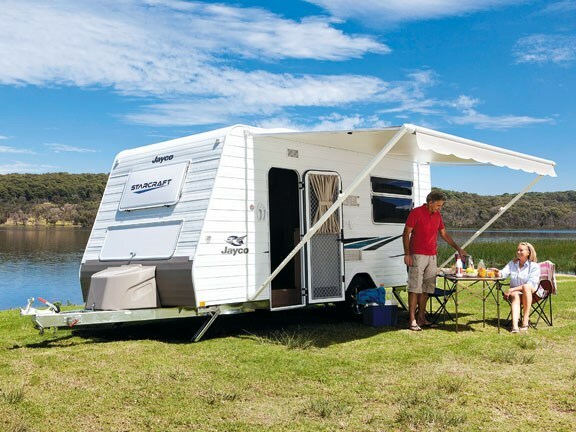 Jayco Australia, established by Gerry Ryan in Melbourne in 1975, manufactured 526 camper trailers in their first year of operation. In 1979, the company produced its first pop-top units and in 1983, the first caravans came off the production line. Alloy wall frames were introduced in 1991 and in 2001, Jayco's first caravan with a wall 'slide-out' was produced. Campervans (2004) and motorhomes (2005) followed and today, the brand's 800 employees churn out roughly 50 percent of all RVs manufactured in Australia … more than 120,000 since its inception 37 years ago, making this Australian-owned company building Australian-designed products a very experienced RV builder. My first impression of the Starcraft: solid and well balanced. The Endurance hot-dip galvanised chassis has 'rocker-leaf' springs on tandem axles, providing satisfactory ground clearance, with four 'Alko' drop jacks for stability when parked. The chassis has an override braking system, two safety chains, plus a breakaway safety cable and a robust, detachable Alko jockey wheel. The 2 x 9kg LPG bottles have a very neat, easily removed acrylic plastic cover. I liked the aluminium wall planks – the horizontal lines are unobtrusive yet robust in appearance. The Camec wind-out windows are slightly recessed out of harms way and the access door is fitted with a separate security mesh/insect screen door. The rear of the 'van is embellished with acrylic mouldings housing the indicator and stoplights, protected by a robust alloy tube bumper. The awning, a factory-fitted US-made 4.5m Carefree model, is "Simple to deploy and safe for one person to retract in windy conditions," said Coastal's Toni Farrell. Although there is just the one external locker, it is a 'tunnel' locker, accessible from both sides and spacious enough for outdoor furniture, BBQs, fishing gear and golf clubs – all the things RVers like to stow in outside lockers which, sadly, many caravan manufacturers fail to provide. The other little things that make caravan life easier, like an awning light, outside fresh water tap, 230-volt outlet power point, electric step, water filler with a mains pressure connection and TV aerial input connection are all standard. On the outside, the Starcraft certainly meets Mr Jayco's brief: affordable while retaining quality and comfort. How would the interior measure up? The interior layout has the north/south island bed to the left of the entry door, an 'L-shaped' lounge opposite the door, the very long kitchen bench to the right of the door and a large bathroom right across the rear of the 'van. It is a very open layout, with plenty of space to walk past the food preparer without doing the 'excuse-me' two-step. For some, it may be too open as there is no way to close off the bedroom area for privacy. That said, though, the large bathroom could adequately serve as a changing room. There is heaps of personal storage in the bedroom area. 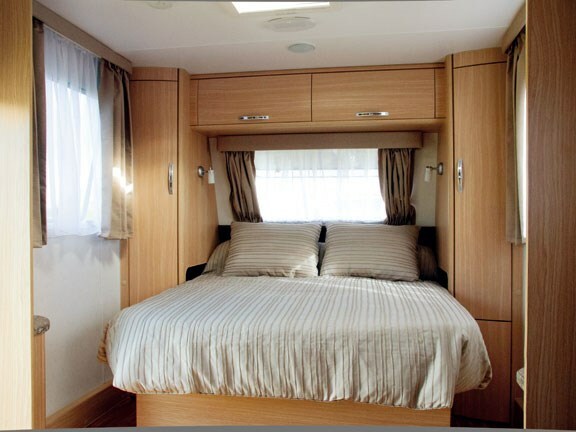 With overhead lockers, hanging lockers, drawers, cupboards and storage under the bed, this Starcraft has storage to burn. The bed has a custom-made inner-sprung mattress 1480mm wide and shaped at the foot for easier access around the bed. It sits on an aluminium slat base that pulls away from the bed head wall allowing an infill piece to extend the bed length to 1900 mm. There is a reading light and a handy little shelf each side of the bed with just enough room to heap your pillows up beneath the window. So, in spite of the reverse sloping bed head wall, 'morning cuppa comfort' is feasible. When Jayco planned the Starcraft range for the budget conscious buyer, they did not fall into the trap of skimping on two important areas in a caravan: food preparation and personal pampering. Foodies will love the bench space, a big fridge and a 'proper' oven. The Starcraft delivers, with a 2400mm-long kitchen bench, a 150-litre Dometic RM2553 fridge and an oven with a separate grill compartment and a four-hob top – one electric and three gas. There isn't a pantry but there is room for one to be retro-fitted and all the other essentials are provided: good lights and ventilation, copious shelf space and a microwave. Personal pampering is catered for with a very classy-looking circular shower, a butler's sink-style vanity unit and the latest-model Dometic electric toilet. The caravan reviewed had understated 'black and tan' fabric cushion covers and timber-patterned vinyl floor covering. Did the Jayco designers fulfil their design brief – a more affordable caravan that offered value for money without sacrificing quality and comfort? I think they did a splendid job. For more information contact Coastal Motorhomes and Caravans Ltd, ph 07 307 0503.